Vermont’s game wardens work for the Law Enforcement Division of the state’s Fish and Wildlife Department. 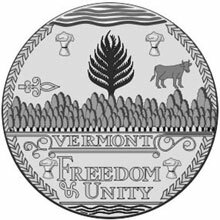 Vermont is known for its wilderness areas, and forests comprise more than 75% of the state. With natural resources as diverse as the Green Mountain Forest and Lake Champlain, Vermont’s game wardens must be knowledgeable about a range of habitats. In addition to their conservation knowledge, Vermont’s game wardens often serve as the sole law enforcement agent in wilderness areas of the state. Therefore, they are called upon to perform emergency medical procedures and use technology to locate and rescue people in distress. With geographic jurisdictions ranging from whole counties to even greater portions of Vermont, the role of a game warden in the state poses a number of challenges. Vermont residents with an interest in both law enforcement and outdoor conservation readily seek the challenges of game warden positions. With applications outstripping the number of jobs available, candidates must be prepared to showcase their skills and expertise in law enforcement and conservation. Read on to learn more about the process of becoming a game warden in Vermont. Vermont’s game wardens enforce fishing, hunting, boat, snowmobile, and ATV laws in addition to general law enforcement duties. Ideal candidates for these positions combine a love of the outdoors with an appreciation for the role that law enforcement plays in protecting Vermont’s resources. Applicants must be prepared to present evidence of their expertise and knowledge that will benefit both the Fish and Wildlife Department and the general public. Men and women with an in-depth knowledge of the requirements and application process are better prepared to demonstrate their suitability to become a game warden in Vermont. Citizenship: Proof of U.S. citizenship or of permanent resident alien status for those who are eligible and have applied for citizenship. Must be a resident of Vermont at the time of employment. License: Candidates must possess a valid Vermont motor vehicle operator’s license at the time of application. Interview: Candidates will have an oral panel question and answer session during the later stages of the application process with several members of the Fish and Wildlife Resources staff. Hearing: Candidates must possess normal hearing that includes hearing in ambient noise environments. Vision: At least 20/60 Snellen test each eye and correctable to 20/20. Candidates must have normal color perception and night vision. At $55,040 ($26.46/hour), the median salary among game wardens in Vermont exceeded the national median for this profession by more than $3,300 as of 2016 according to the state’s Department of Labor. The overall average among Vermont’s game wardens was $55,570 ($26.71), while experienced game wardens earning within the top 10% made an average of $73,330 ($37.18/hour).